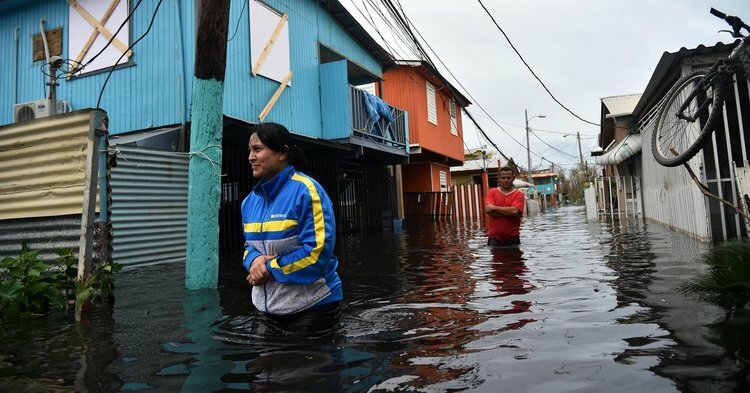 In response to the devastation of Hurricane Maria, a new organization, BARRIO SOLAR, has been created to fund, purchase and distribute small, off-the-grid solar technologies and lighting units to remote communities throughout Puerto Rico, as well as the barrios of San Juan. The initiative of Berkeley-based physicist and author Fritjof Capra, Puerto Rico native and Oakland resident, engineer Indira Cortez, and Berkeley producer and designer Elizabeth Hawk, BARRIO SOLAR has just launched a crowdfunding campaign on Generosity.com to raise $25,000 for the purchase and distribution of solar units by the first week of December. In partnership with Puerto Rico-based women’s organization Paz para la Mujer, BARRIO SOLAR has developed a large network of distribution points on the island to ensure quick delivery of the solar devices directly to emergency shelters, community centers, and homes. CENSA, the Center for the Studies of the Americas, located in Berkeley, is serving as the organization’s fiscal sponsor and will oversee the distribution of funds to purchase the products once the crowdfunding goal is met. In addition to the crowdfunding campaign, BARRIO SOLAR will be the focus of a benefit concert being held to raise awareness and additional funds to continue supporting rural communities throughout Puerto Rico and the barrios of San Juan, and to set up permanent offices for BARRIO SOLAR, stateside and in Puerto Rico. The concert is scheduled for March 2018 at the Fox Theater in Oakland, CA and will feature a host of jazz and blues talents from around the Bay Area, plus some very special guests representing the Puerto Rican community. More details will be announced soon, including ticket information and a schedule of performers. BARRIO SOLAR is an all-volunteer initiative comprised of educators, engineers, entrepreneurs, and entertainment industry veterans. For more information about BARRIO SOLAR, please visit the website at www.barriosolar.org or follow the project on Twitter.